For many years now, the LDS church has worked on developing a web application for its members (and eventually the public) to be able to interact with a very large, unified database of connected genealogical information. This new system is being released in phases for members of the church first. When the system is “perfected”, it should encourage research collaboration and prevent research duplication. 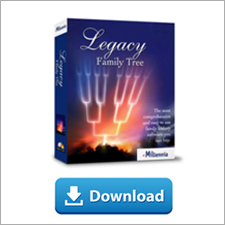 Legacy Family Tree is being developed to interact and optionally synchronize with the FamilySearch Family Tree. Using Legacy, you will be able to take advantage of new collaboration and searching tools, and for members of the LDS church, enhanced tools for ordinance work. For a few years now, we have been developing Legacy’s integration tools, and are closer to having our software officially certified by FamilySearch. We are taking a unique approach to integrating with FamilySearch Family Tree which we believe will make it simple for newbies to get started with their family history, and provide the “power” tools for experienced researchers to benefit from the system. It has been challenging to come up with the right combination of features to make it both simple and powerful, but we know it will be well worth the wait. After our integration tools have been certified by FamilySearch (hopefully in the next month or so) and then tested, the new tools will be available in both the Standard Edition (free) and Deluxe Edition of Legacy. Of course we wanted to have it done months ago, but we wanted our implementation to be done the right way. We're aiming for the second half of 2009 for these exciting new tools to be released. I can't wait until we can at least see some screenshots of this; been anxiously waiting. How exciting! Looking forward to it. Donna J.
I have been wondering why Legacy appeared not to be doing anything about integrating with the new FamilySearch program. Now I know why. I am now eagerly awaiting this new developement to become a reality. Keep working on it boys! Thanks for the update. I knew it was coming and now maybe I can contain my excitement!! Thanks for making such a great program. I am always amazed at the amount of information freely made available by LDS to walk-in users of their family centres. What an excellent move this is, for Legacy to synchronise with FamilySearch! Will these new tools be made available within the current version (7), or require upgrade to a new release? David - I don't know the answer to your question. However, the FamilySearch integration tools will be available in the free standard edition. From what I have seen so far it seems to me that the FamilySearch work has, understandably, concentrated on the USA. Taking the UK as an example, is it expected that their relevent details will be included and will the current Legacy IGI Search still be available? So happy to have news on this. 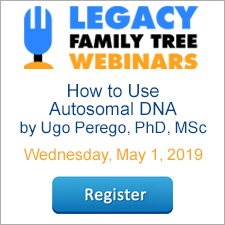 I have been a Legacy user since you first came out with it, and have worked with others to help them see the best genealogy program out there... and now will be even more happy to tell them that it will be intergrated with NFS. It will save me ALOT of time of typing info and stats twice! I so looking forward to the update. It is unfortunate that the Church has allowed unverified information to be added to their records. As long as those seeking information are aware of the inconsistency of their records accuracy. New FamilySearch will replace FamilySearch once it is completely rolled out to the world. So far all temple districts except a few in Utah and some in Asia (because of challenging language issues) have access to members of the LDS Church. However, records that are being indexed can be searched now and include records from many countries, including the UK. The only holdback is making agreements with orginal holders of the records and the number of volunteers in those languages and countries. This is a global effort, not just a concentration of USA sources. I am so excited about this. PAF has the syncro capacity, but I love Legacy too much to switch. I'm glad I won't have to! Me too, Roni. I tried PAF with Family Insight but didn't like the sync features much. I got Ancestral Quest which is much better and have been using that for a few months now, it's a bit plain though. I have really been dying to get back to Legacy. I still have my old file on there and I often open it just to use the map features. There are so many other cool features I miss. I hoped they would get Familysearch integration some time soon, so I am very happy to hear about this. Can we use these tools with Legacy 6 Deluxe or does it mean we have to update to 7? Pam - these tools will likely be available as an update to Legacy 7.